Texas Fox Terrier Rescue View other Fox Terriers for adoption. 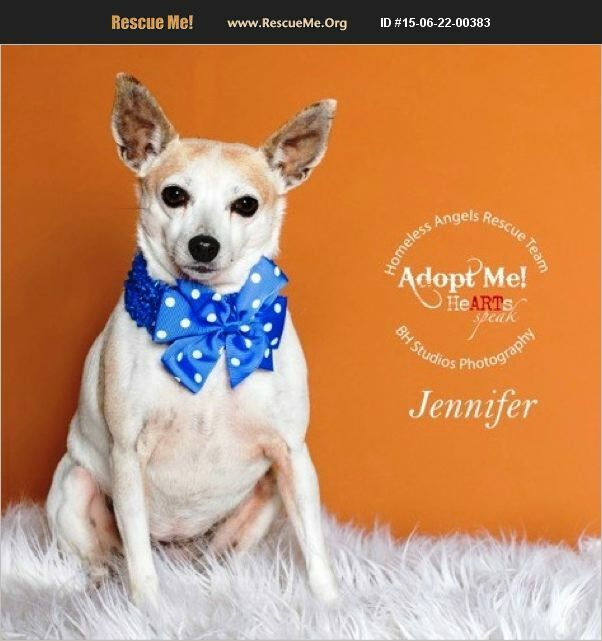 Jennifer, a Jack Russell Terrier Parson, mixed with a little Chi. She's estimated to be about 3-4 yrs. old and weighs 7 lbs., soaking wet. She is an absolute lap dog: friendly, sweet, and loves to cuddle in your lap. When she's not in your lap, she loves to explore, so she'll appreciate having a fenced in yard. She's crate-trained and house-trained.